A few weeks ago, work began at Miraflores to unearth a few of its original walkways, not knowing exactly what might be found, and the results have been intriguing. Ground crews have carefully uncovered several unexpectedly large walkways that have been buried underneath tons of gravel/dirt (up to 2 feet deep) for almost 40 years. Miraflores was the unique garden expression of Dr. Aureliano Urrutia, who came to San Antonio from Mexico City in 1914. The garden still contains a number of significant objects reflecting important aspects of Mexican history, art and culture; some of which are on the Smithsonian Inventory of American Sculpture. It is on the National Register of Historic Places (2006), and is a State of Texas Archaeological Landmark (2009). Historical photos and memories of earlier eyewitnesses to the property have referenced the presence of the walkways, but San Antonio Parks and Brackenridge Conservancy representatives were somewhat shocked by the depth of the soil in some places and the magnitude of the findings. 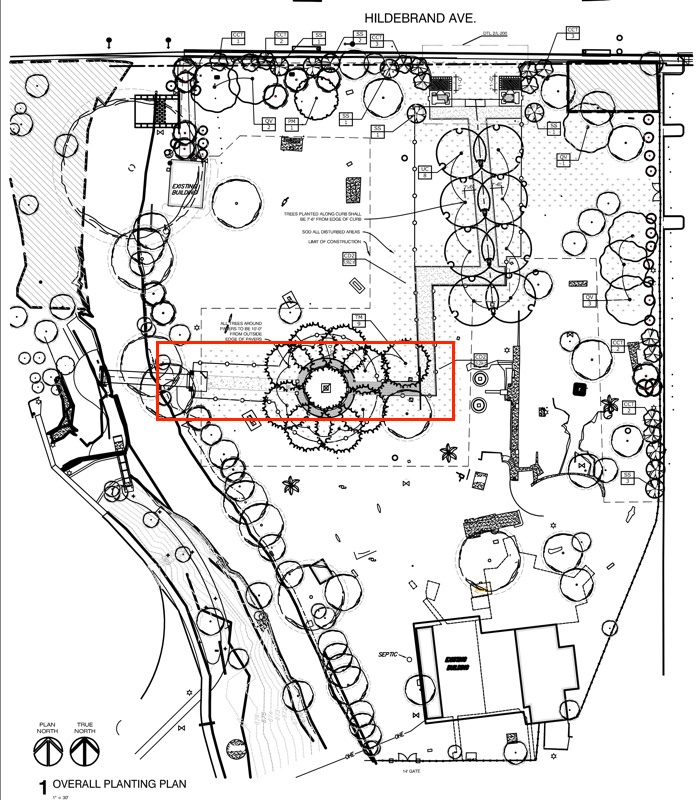 The main area explored to date runs on a west-east axis about 150 feet long from the Brackenridge Park bridge entrance, around a 30-foot-wide reflecting pool (buried at this time), and slightly beyond, toward the garden's central point. Plan courtesy of RVK Architects. Used with permission. It's no secret that various corporate owners of the 15-acre property at the corner of Hildebrand and Broadway, after its sale by Dr. Urrutia in 1962, imposed various levels of neglect, encroachment and destruction on the garden. 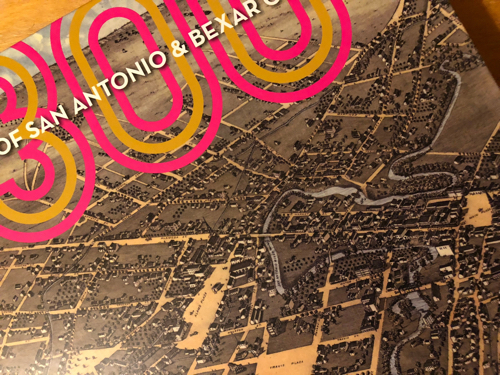 The 4.5 acre garden along the San Antonio River, which now belongs to the City of San Antonio, was originally part of that larger parcel, and was specifically set aside in the deed as an area to be preserved as a place of beauty. After decades of neglect, sometime around the 1980s, tons of gravel and dirt were dumped there, and drains were installed. This modification of the property involved active destruction of the garden's walkways and some of its other features which were central to its design. The plan was to try and alleviate some of the flooding from underground springs during heavy rains, and to use the property as a recreational picnic grounds for employees. Now that the extent of the original walkways is becoming more clear, the City will be determining how to proceed with this project in the coming weeks. Various solutions will be discussed regarding the proper approach to restoration. Some ideas that have been mentioned include 1) documenting and then re-burying the walkways in order to install new walkways at a higher grade, and 2) restoring the walkways at their original level. Will restoring the walkways at their original level be problematic given the lower grade level, because of flooding? Will raising the grade have a truly beneficial impact on the walkways in times of heavy rain? Will the work impact the National Register designation of the site? How will other historical restoration guidelines impact what can be done? These questions and more will be under consideration as this project moves forward. For good measure, I'll toss in another approach suggested to me by a few astute friends--how about creating a different way for visitors to understand Miraflores: Uncover and reveal what remains of the original walkways (and other buried features), without requiring them to be useable if they are too low or too damaged. Stabilize them to the extent possible and make them viewable. Of course restoring and protecting the existing significant sculptural pieces, along with any original walkways that can be restored to use, would be part of any solution. What would you like to see in the end? I would love to hear your thoughts. Please feel free to email me. Brick and concrete with inlaid concrete. By the way, news of the renovation was announced earlier this summer on News 4 San Antonio, and the Rivard Report also picked up my original blogpost on this subject (New Path to Link Miraflores and Brackenridge Park). Photographs of Miraflores by Elise Urrutia.